School of Natural Sciences and Health welcomes you to take part of pop-up seminar dedicated to human-animal interactions in modern society. Relationship between people and animals is influenced by behaviors essential to the health and wellbeing of both. This includes, among other things, emotional, psychological, and physical interactions of people, animals, and the environment. Join us for talks about up-to-date concepts, research and experiences in the field. The LINK between animal cruelty, domestic violence, elder abuse, child abuse, and other forms of interpersonal violence. 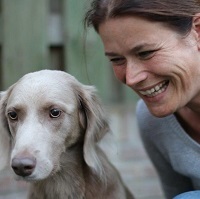 Dr Marie-Jose Enders-Slegers is president of IAHIO (International Association of Human Animal Interaction Organizations). 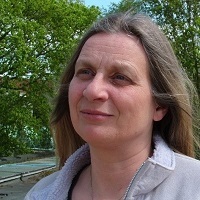 Marie-Jose Enders-Slegers, PhD has been Professor in Anthrozoology at the Faculty of Psychology and Educational Sciences at the Open University in Heerlen, the Netherlands, since June 2013. Her research is focused on the development of human animal relations and the meaning of human-animal interactions for vulnerable people (e.g. elderly, demented elderly, traumatized children, mentally handicapped people, children with psychiatric disorders, autistic children, and psychiatric patients) and on the link between domestic violence and animal abuse. Drs Tynke de Winkel is a researcher at the Faculty of Psychology and Educational Sciences at the Open University in the Netherlands, at the department of Anthrozoology. Her research focuses on the measurement of animal well-being in AAI and on designing online educational programs for practitioners in AAI. Dr Anne McBride holds a B.Sc. (Hons) degree in Psychology awarded by University College London in 1978. She was awarded her Doctorate in animal behaviour (Aspects of Social and Parental Behaviour in the European Rabbit) from the same institution in 1986. In 1992 she obtained a Certificate in Conservation and Ecology from Birkbeck College, London. She is a Fellow of the Royal Society of Arts. Anne has been a practising animal behaviour therapist since 1987 and was the senior behaviour counsellor at the Animal Behaviour Clinic at the University of Southampton which ran from 1998-2009. 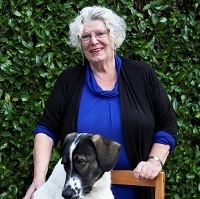 She is a member of the Association of Pet Behaviour Counsellors and has lectured, internationally, on various aspects of animal behaviour and the human-animal bond. She has also written on the same topics. She ran puppy socialisation and pet dog training classes in London from 1989 to 1998. She has and continues to work and train domestic pets, exotic species, zoo and farm animals. 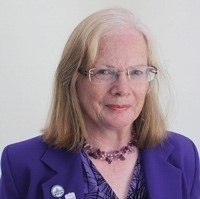 She represents the ABTC on the governmental advisory body The Canine and Feline Sector Group and on the current BSI committee working on European standards for Assistance Dog trainers, on the APGAW Livestock Chasing group and with the Department for Work and Pensions on the Public Access for Assistance Dogs. 2014: Honorary Associate Professor in the School of Veterinary Science at the University of Nottingham. 2005: Patron of the Rabbit Welfare Fund. 2005: Honorary member of ASETRA – the Italian Veterinary Behaviour Association. In 2003: Honorary Teacher at the University of Bristol Veterinary School. In 2001: Honorary Fellowship of Myerscough College, University of Central Lancashire for her contribution to the field of pet behaviour. Nathalie Nordén is a biologist with an education in animal welfare, ethology and veterinary medicine. She is a project manager in a project creating guidelines for veterinarians in how to recognize and how to act when they encounter animal welfare problems and possible domestic abuse and child abuse. She is the chairman of an organisation running a housing program for pets when their owners need to stay in domestic violence shelters. Nathalie will describe the progress in implementing the LINK during the last ten years in Sweden, where the country is now and what are the plans for this and next year. The talk will include an analysis of the problematic areas of Swedish legislation, funding-problems, different work by different NGOs and corporations as well as how the government handles the different aspects of the problem. Also included is information about cross-reporting and education of different professions in Sweden in the link of violence and tips on how to run a fostering program for pets. Dr Elizabeth Ormerod BVMS MRCVS is a Churchill Fellow, Elizabeth has travelled widely to visit model AAI programmes. Elizabeth is a Vice President of IAHAIO; a director of SCAS; co-founder and Vice President of Canine Partners and a visiting lecturer to veterinary schools. She was awarded the inaugural International William F McCulloch Award for excellence in human-animal interaction practice. Small Animal House Physician Elizabeth was responsible for Glasgow University's charity veterinary clinic during which period she became attuned to the significance of companion animals in the lives of vulnerable people. With multidisciplinary collaboration she developed outreach programmes, delivering Animal Assisted Intervention (AAI) programmes to schools, nursing homes, hospitals, sheltered housing and prisons.